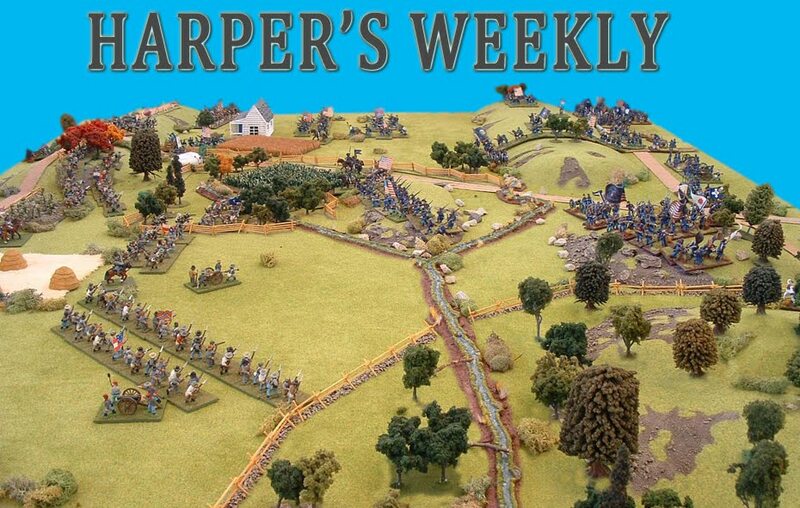 Harper's Weekly: Calling all Generals! 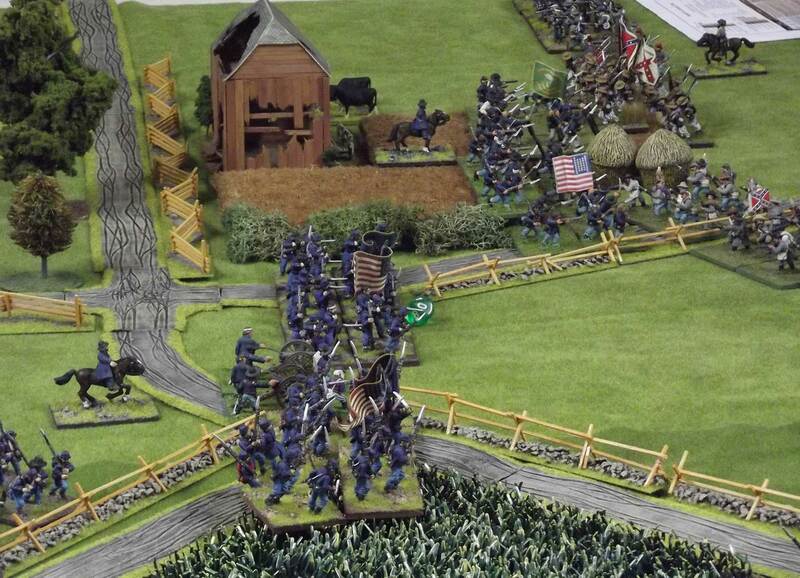 I have added extra pages to the blog with the Orders of Battle for the Gettysburg game. If you did not get the email that was sent out tonight and wish to play ( there are a few gaps that need to be filled) contact Chris and let him know. Here is some info that was also emailed out tonight. 2. 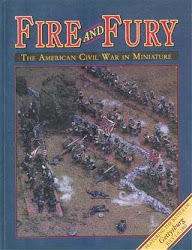 The rules will be the original brigade level ‘Fire and Fury’ with some minor amendments for 28mm (TBA by the end of March) at a scale of 1 base = 150 men. 3. Venue will be the St Albans-Shirley Club, 269 Hills Rd, Christchurch. 4. The date is the weekend of 6th & 7th July. Start time is 9am both days, finishing 5-6pm on Saturday and around 3pm Sunday. A small lunchbreak around 1pm is also scheduled. 5. Our intention is to give this game the aesthetic splendour it deserves, so we will be creating a game table that faithfully reproduces the battlefield together with several of the notable buildings on it. A map of the game table will be sent out by the end of February. 6. 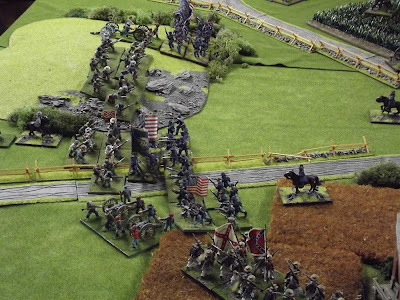 The game will be run as a wargame, and not as a faithful re-enactment of the actual battle based on the dispositions of the two armies on the morning of 2nd July 1863. Thereafter, players will be at liberty to act as they wish. 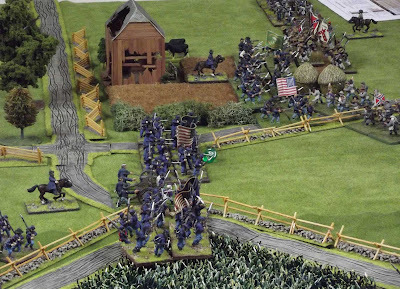 However, we will be devising a cunning set of victory points allocated to various terrain areas, acts of bravery or cowardice and casualties designed to keep the Union from sitting behind stone walls, and the Confederates still thinking a mass infantry charge is a good idea. 1. The allocation of players to their division/s is as per the attached spreadsheet. The CinC for both armies will be represented by Adrian Powell as Meade and Chris Packer as Lee. In the case where there are two players involved in playing a division/corps, the players involved should liaise with each other to ensure the corps artillery is represented (and for the Union, the army artillery reserve). 2. 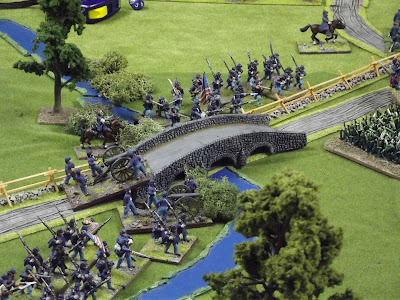 All key terrain will be represented, although some dimensions of the battlefield will need to be fudged to ensure figures can be reached in the middle of the table, players have adequate table access and personal space, and with enough space to deploy their figures correctly. We will ensure that the table is contoured in such a way as to prevent slippage. 3. The game set up will commence on the Friday afternoon and will be taken down around 4pm on the Sunday afternoon. 4. We also hope to have some appropriate musical accompaniment to proceedings. 1. 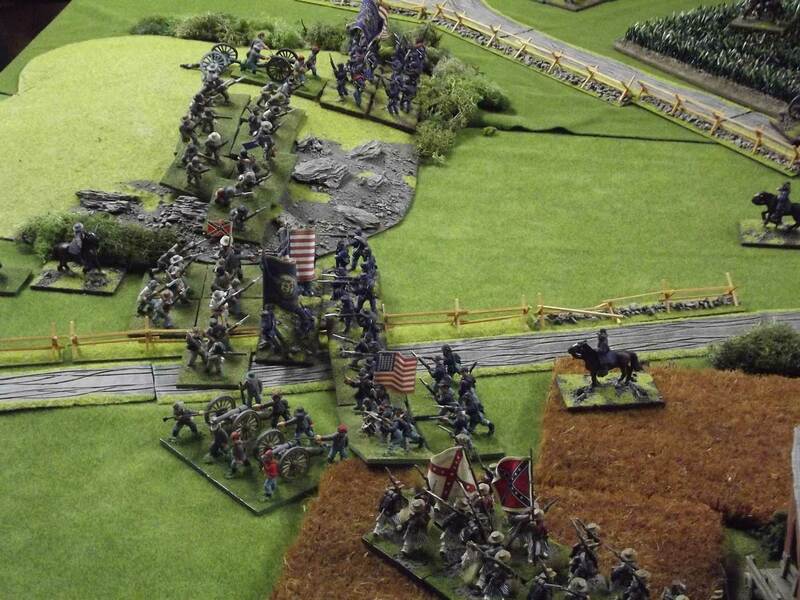 Bring fully painted figures (to a good wargamers standard) representing the units they have agreed to contribute to the game. This should include all infantry stands, artillery stands including a proportionate share of corps artillery, divisional commanders, and if that player controls the 1st division in that corps, the corps commander also. 2. 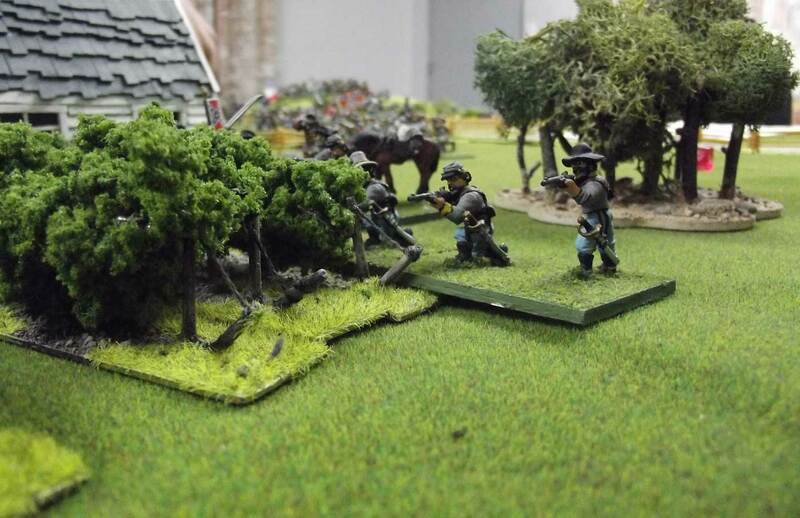 For each infantry unit, there should be a low ammo marker, disordered marker and breakthrough marker. 3. For every artillery stand, a damaged battery marker, silenced marker and a low ammo marker. Limber markers are optional, but some means of representing limbered status is required. 4. A suitable yet subtle means of identifying infantry/artillery units and their factors, and which division/corps they belong too. 6. Bring some D10 dice and measuring device calibrated in inches. An arc of fire gauge will be supplied. We hope the above guidelines help players to understand the nature of the event, their responsibilities and what we hope to achieve. We really want to make this game a success, both from a visual and event enjoyment point of view. We would ask that we be advised at the earliest time if you are unable to attend, so we can make changes as necessary. We intend to video the event for YouTube consumption, and hopefully complete an article for one of the wargames magazines. For any queries, please let me know on chrispacker66@gmail.com. We will update everyone on progress re costs, QR sheets, the cap and shirts, rule amendments and the final army lists very soon. How come you dont play the first day of Gettysburg?